A.P. John sources the finest French, American and Hungarian Oak from mills which have, in many instances, been valued suppliers to the company for more than 50 years. These relationships, which have spanned generations, ensure a timber supply from sustainable forests that are the envy of other French and American cooperages. Through these connections, A.P. 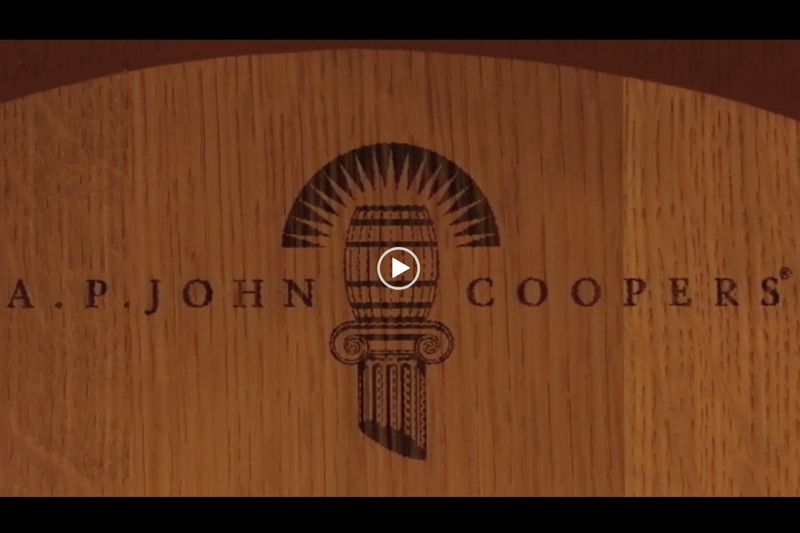 John has been able to continue delivering sought-after products to winemakers around the world. Timber is air seasoned at site of mill in Bordeaux, Burgundy, or in the USA for a minimum of 24 months and in most cases a minimum of 36 months. The final few months of the process takes place at the Barossa cooperage to make sure the timber has been perfectly seasoned for our coopers. Each A.P. John barrel is produced from select, super-premium quality, well-seasoned oak. Hundreds of wineries throughout Australia, New Zealand, South Africa and California place their trust and their wines in A.P. John barrels.